Fernando T. Maestre, born in Sax (Alicante) on 11/01/1976, received his BsC. and PhD. in Biology from the University of Alicante, Spain, in 1998 and 2002, respectively, with the maximum qualification in both cases. He received the Academic Performance Award by Generalitat Valenciana in 1999. After his PhD. he spent two years at Duke University (USA) as a Fulbright postdoctoral fellow. In 2005 he returned to Rey Juan Carlos University, where he is now a Full Professor and leads the Dryland Ecology and Global Change Lab. In addition to his stay at Duke, Prof. Maestre has conducted research stays in universities from USA (Universities of Montana and Vermont), China (Lanzhou University), Australia (Western Sydney University), and Germany (Free University of Berlin), as well as in Rothamsted Research (UK). He has led 11 research projects totaling over 4,200,000 €, including both a Starting Grant (2010-2015, BIOCOM) and a Consolidator Grant (BIODESERT, 2016-2020) from the European Research Council. Prof. Maestre is one of the few scientists working in Spain that have received both a Starting and Consolidator Grant, and the only ecologist to date who has achieved this. 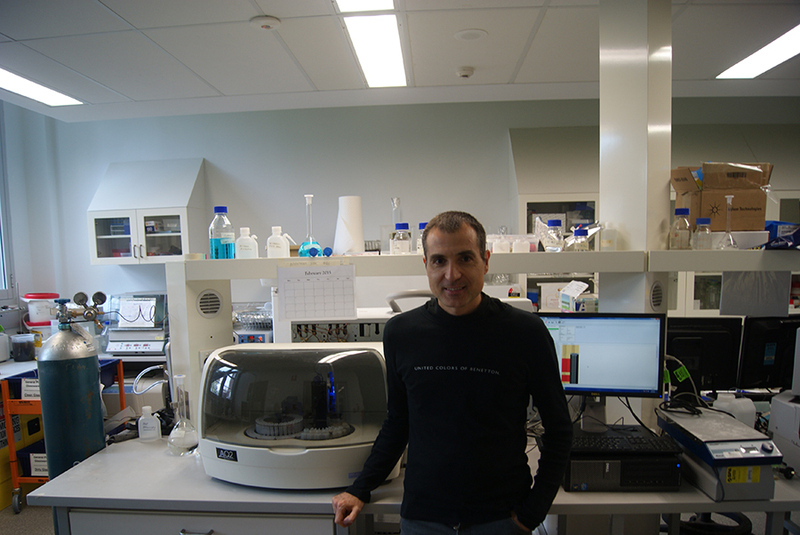 Prof. Maestre has published 204 articles in international peer-reviewed journals such as Science, Nature, PNAS, Nature Communications and Nature Ecology & Evolution, which have received 14039/9595 citations so far (his h-index is 60/50 according to Google Scholar and Web of Science, statistics at 26/03/2018). He is the main author and co-author of nine “Highly cited” articles and is within 5% of most cited authors in his field of research according to Web of Science. Prof. Maestre has published five books (two as co-author) and has edited three more, having also published more than 60 book chapters and scientific/popular articles in local, regional and national journals. He is or has been a member of the Editorial Board of ten scientific journals, has presented more than 150 communications in national and international scientific meetings and has given invited conferences in universities and research centers from 12 countries. Prof. Maestre has been a member of scientific panels in Spain and Finland. He has also obtained multiple awards, including the “Miguel Catalán” prize for young scientists, awarded by the regional government of Madrid (2014), the Prize for young researchers working in the life sciences, awarded by the Royal Spanish Academy of Sciences (2013), the Prize for Excellence in Research given by Rey Juan Carlos University (2015) and a Humboldt Research Award awarded by the Alexander Von Humboldt Foundation (Germany, 2014). Prof. Maestre has devoted substantial efforts to mentor the next generation of scientists, and to disseminate the results of his research among the public. He has supervised eight PhD students (is currently supervising seven more), 26 MsC and BsC students and 16 post-doctoral researchers. He has also supervised over 45 undergraduates, who have conducted research activities in his lab, and 19 visitors from Spain and abroad who have conducted research stays longer than one month. Prof. Maestre has been a collaborator of the Spanish Public Radio (“Radio Exterior de España”, has participated in interviews and documentaries in radio (Cadena Ser, Radio Nacional de España) and TV (La 2, Canal Sur) and the results of his research has been highlihgted by newspapers, webpages and blogs from Spain and abroad. He has also participated in scientific communication events (e.g. European Researchers Night, Madrid Week of Science) and given conferences targeted to the general public, as well as to primary and high school students. A complete CV of Fernando can be found here.